Jessica Cameron’s TRUTH OR DARE finally gets US release from Invincible Pictures. Jessica Cameron’s “Truth or Dare” finally gets a US release from Invincible Pictures. To date there is still no inclination to a UK release but you can find the film on all good VoD sites including Google Play and Xbox. The independent hit film that won 34 awards (Including our very own “Most Fucked Up Film Of The Year 2014” award) world wide is available in the USA. The film was produced by Mem Ferda and stars some of the brightest stars in the independent film world including Ryan Kiser and Heather Dorff. 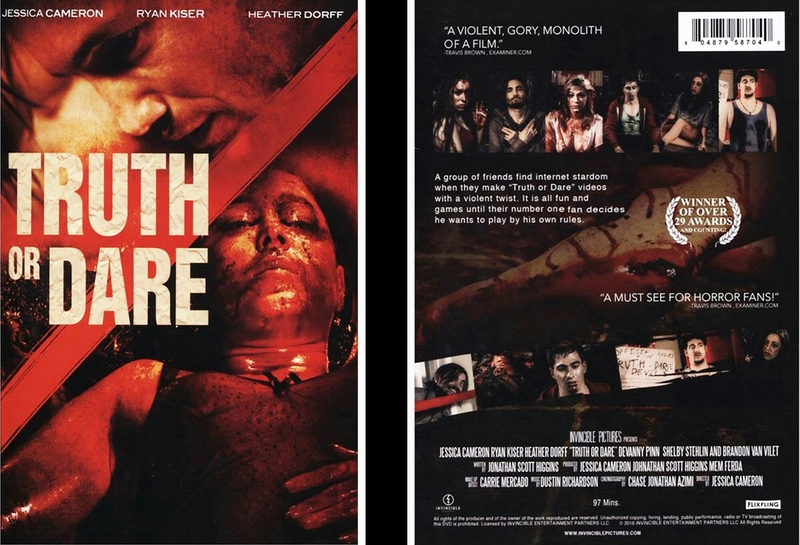 “Truth or Dare” is released by Invincible Pictures who notoriously released the uncensored “A Serbian Film” and most recently Kevin Smith’s “Yoga Hosers”. The film is currently available in stores including Fye and Family Video, as well as online at Amazon, Barnes and Noble, Best Buy and more.